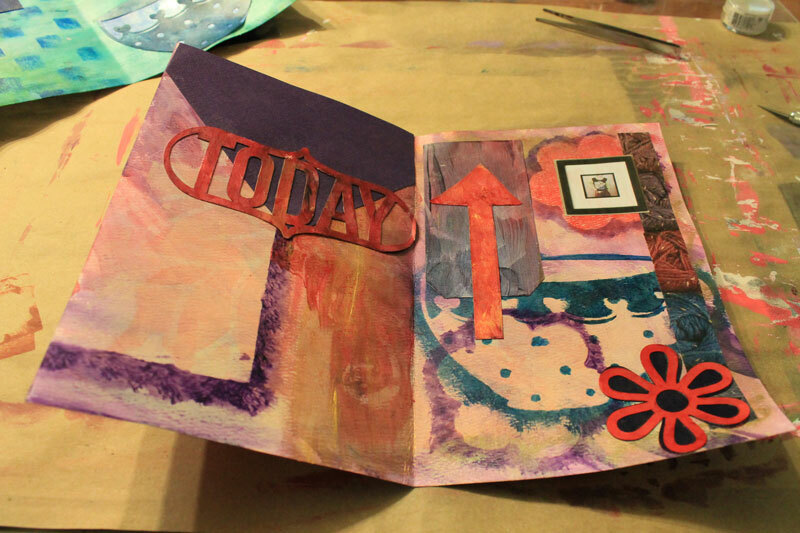 I really enjoy working with stencils in my art journals. I've started to collect quite a stash and this post addresses what I've learned about stencils. 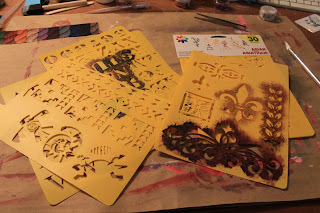 First, you can purchase for really cheap, stencils for use from JoAnn's. Prices range from $1.29 to $2.99 for the bright yellow type. And Martha Stewart has some higher priced stencils available. These are, what I would consider, to be "kitschy" type of stencils. The traditional type of stencils that have always been available, and there's a place for that type of stencil in my art work. 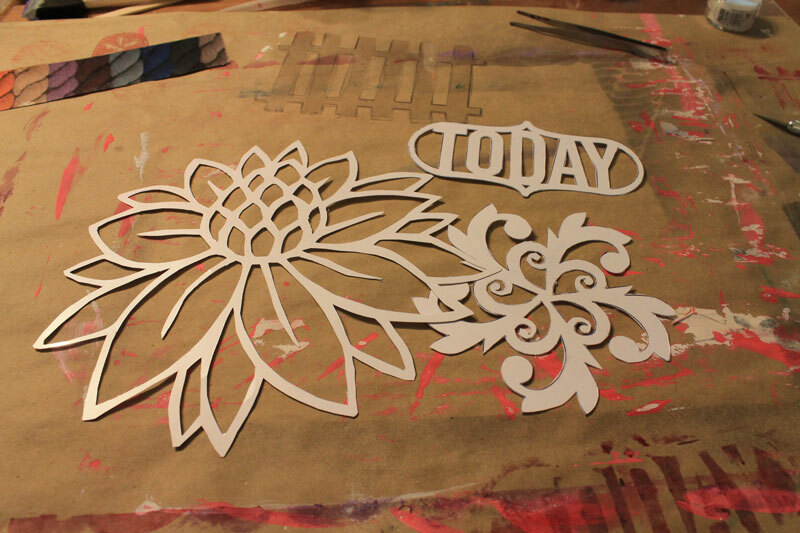 The second type of stencil that I generally use are cut-outs from my Silhouette machine. There's a wide range of graphics that lend themselves to stencil work available from the Silhouette online site that I can download, and also I can use my art work in the cutouts as well through the use of the Silhouette studio software. 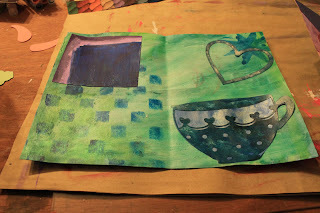 Still these templates are cut out using card stock, I use good card stock, but still there are limits to how often you can use the same stencil in your art journal. 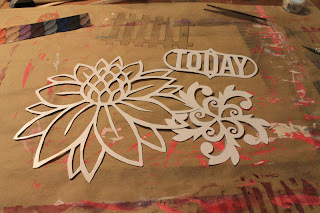 I'm going to try using chipboard and other materials to see if I can create more sustainable stencils. I love using stencils to mask areas on my art journal. Here's an example of how I use the checkerboard stencil I cut out from Silhouette, the star, the heart, the flower, Today, and the coffee cup. In the coffee cup's case I used the cutout as both a mask and a die cut on another page. And finally, there are the stencils that I draw and cutout myself. Typically, these are stencils that I modified from former paper stencils that I really like and want to use more often on my art journals. I draw them on mylar or plastic sheets with a Sharpie pen. Then cut them out using a exacto knife. 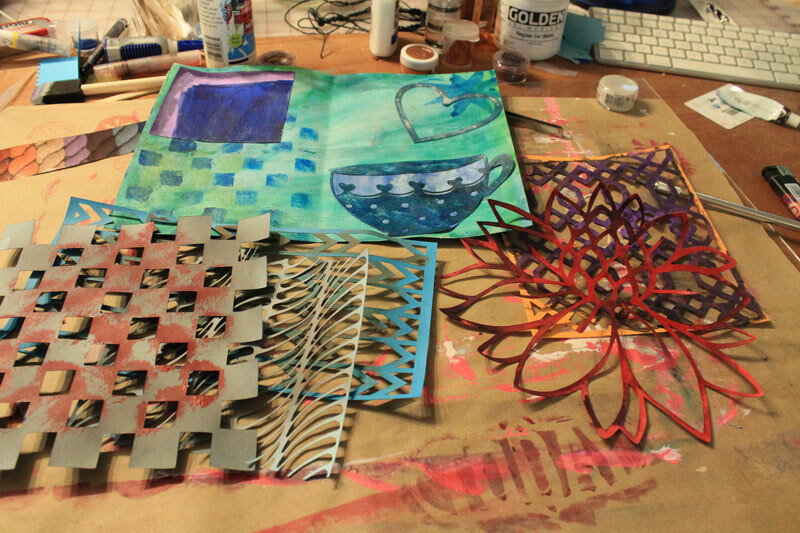 The more intricate cuts take a lot longer and I usually save this work while I'm watching television or on the phone. It gives me something to do with my hands. But I'd like to find a quicker way to accomplish the same thing, so I'm practicing now with a craft cutting/soldering iron. My first trial was a bit rough so this will take some practice so I'll keep you informed.